Every year, we try to start the new year on a good note. Resolutions, spring cleaning.. it’s on! So what are some of my resolutions this year? While I don’t have many, and they are usually about the same – it is about doing better. The resolutions are simple: better eating, healthier living, getting more organized, more quality time spent with family. While I handle things like healthy meals and family activities, as my kids get older, it is important for them to develop healthy habits on their own. In other words, they can make these resolutions too! To achieve those resolutions, it means a routine that that is realistic and that the kids can stick with. One of the things that is a priority is a good brushing routine. The kids have lost a several of their of baby teeth, so more than ever, they need to take care of their adult teeth. I had so many issues with my teeth growing up, and I don’t want my kids to go through the same. The kids are big fans of Hello Toothpaste, and they go crazy for the flavors (translation: no one is allowed to touch their toothpaste!). 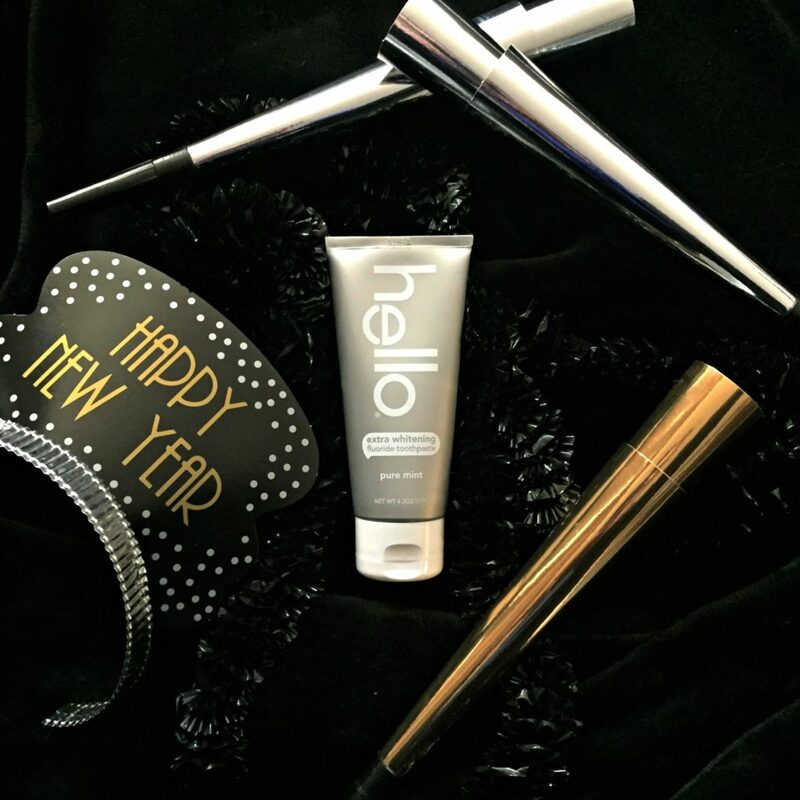 They were so happy to find Hello Toothpaste in their stockings this Christmas, so our resolutions are promising! So now that the holidays are over (and the gingerbread houses have been demolished), the kids are getting back on track with routines. That means getting up on time so that there is enough time to brush before school, and using the brushing timer every night to make sure the kids don’t rush through brushing. 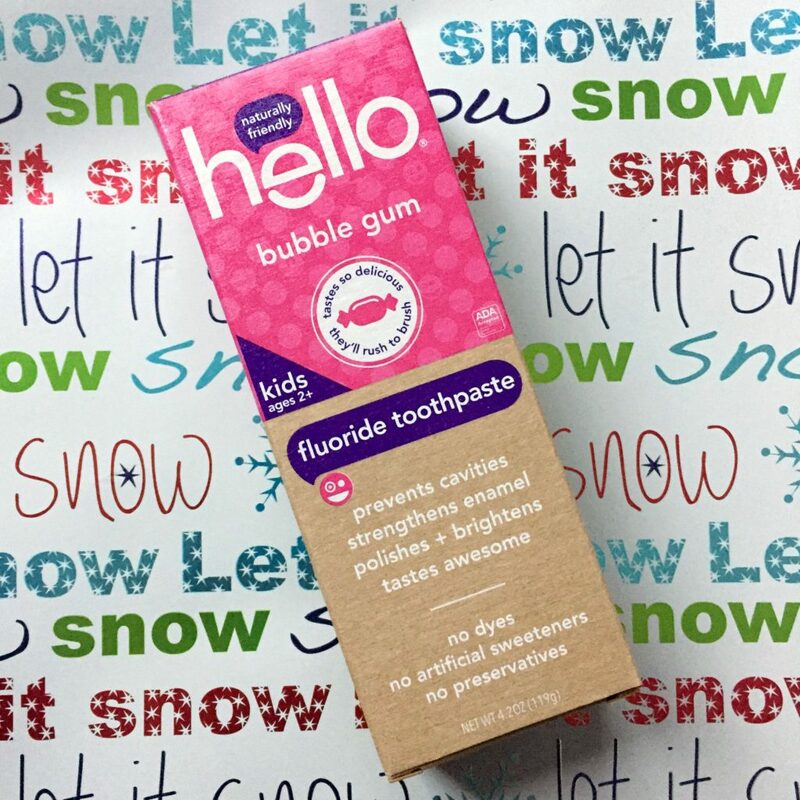 Hello is a good incentive – but minus artificial sweeteners, artificial flavors, dyes, preservatives and microbeads – so we aren’t compromising. They each have their favorite flavors stocked from Christmas – so no excuses! Bonus – my 10 year old actually seeks out dye-free products as the results of discussions we have had about avoiding foods and other products that contain dyes! I’m not much different than the kids when it comes to needing a little motivation. I love when I find a good product that gives me a little incentive. Take Hello’s Mojito Mint Toothpaste! Who wouldn’t want to end a long, stressful day with this flavor toothpaste? Then there’s Hello whitening toothpaste. I stopped using traditional whitening toothpastes years ago because my teeth are so sensitive, but Hello is so gentle that I can reap that fantastic bonus of brighter teeth, without the discomfort. I love starting out the New Year with a brighter smile and more confidence. With a toothpaste for everyone in the family – no excuses! While I love the Mojito Mint, I like to get in some extra whitening, and I’m guilty of enjoying the kid’s flavors too! What are your plans for the new year? Do you have resolutions for healthier habits? It’s great that your daughter is embracing the healthy options and that she is getting so knowledgeable about the dangers of additives at such a young age. We love the whitening toothpastes but I have always wondered how much good or damage they are really doing. The hello product sounds like a great option. Hello! Happy New Year. I’d love to try out that toothpaste…or let my son try it. It looks very appealing for sure. My husband and I are actually on the hunt for new toothpaste for our family. We’ve been trying different flavors and brands with not much satisfaction. Will have to check the Hello brand out. My kids dentist gave us this tooth paste when we went for check ups. WE love it. My kids like the flavor better which means we do not have the morning fights of not wanting to brush teeth. Great options! This is going to help the kids love brushing their teeth! My boys are very particular about the toothpaste flavor they want. I will have to check out Hello brand. 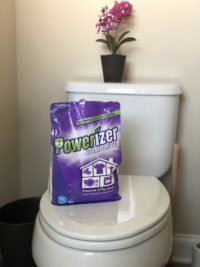 It does seem like a great product that will do its job well. Thank you for your hones review. Never heard of it. What fun packaging. I love the colors that they use. Your daughter is one smart little girl. Happy New Year to you too! This is the first I’ve heard of these toothpastes, and I think my son would really like them! I’m digging the fun packaging. Thanks for sharing. That bubblegum flavored toothpaste is genius. I bet the kids that are hard to get to brush their teeth will be easier to get in there to brush their teeth now. That would be a flavor even i would enjoy, we will have to check this brand out. Thanks for sharing! My husband is into organic toothpaste for quite a while now. We always have to find a sale on it so we don’t have to spend a lot of money just for the toothpaste. 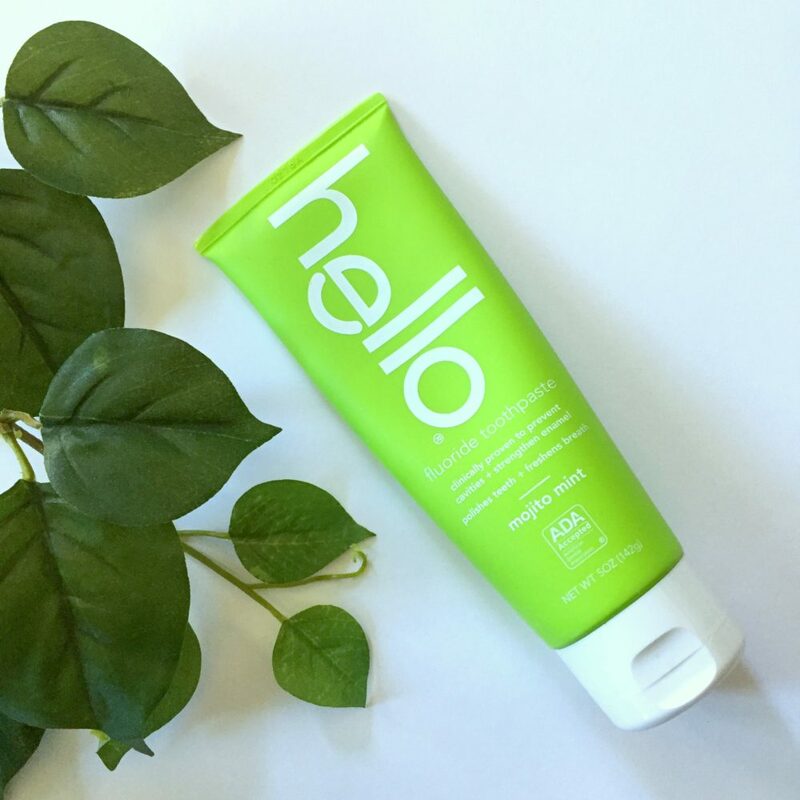 I will have to find this Hello brand so I can introduce it to my husband . And hopefully I can convinced him well enough like you were on this post.